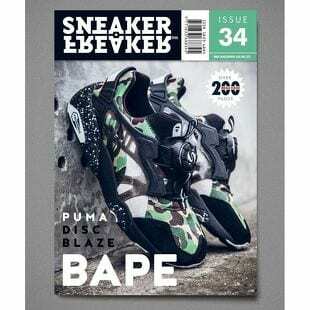 This iconic sneaker magazine from Australia should not be missing from your bookshelf! 200 pages released three times a year bring the hottest news, lookbooks and interviews. Rumor has it that Simon Wood started out 15 years ago mostly to get free shoes. And we are guessing he succeeded. Sneaker Freaker is sold in 50 countries and the very first print is sold on eBay for $300. Not bad if you ask us.